Fugue (the company previously known as Luminal), today announced that it has raised $20 million in a Series C funding round led by New Enterprise Associates (NEA). The Frederick, MD- and Washington, DC-based company’s previous investors, including Core Capital, are also part of this round. Luminal’s main product was always Fugue (which is still in closed beta), so it’s probably no major surprise the company decided to change its name and logo to better reflect its focus. Fugue allows businesses to declare what their cloud infrastructure should look like and set the policies for accessing that infrastructure. Businesses can also use the tool to migrate their current datacenter workloads to the cloud. 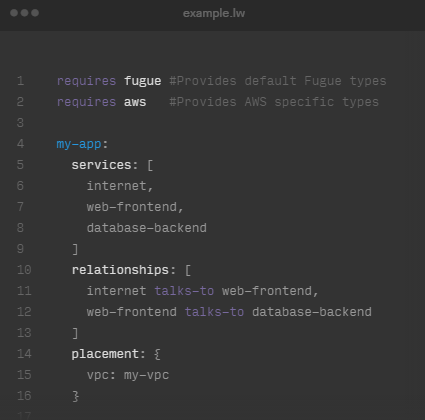 Fugue currently focuses on AWS as its main target platform, though it will surely add others at a later stage, too. In many ways, Fugue looks similar to existing IT automation tools like Chef, Puppet and Ansible. Fugues emphasis, however, is squarely on infrastructure and there’s no reason developers couldn’t use it in parallel with their existing DevOps tools.